Home 2017 October 4 American Creed? We hear words like Freedom, being Free, Liberty, Courage, Family, etc. When bringing up America. Repeated over and over again, in every definition, in every philosophy on what it means to be an American. But sometimes I feel that these stock words that everyone uses hinders at the core details of what an American is. “To be an American to me means that I am free… it means most of all to be free and to be proud that I live in the United States of America…” (Scholastic). But other then some broad words as such, there is a surprising lack of more complex, detailed dialogue about what it means to be an American. And I generally believe people overall aren’t much into the details cause they believe that you can just FEEL what it means to be an American, and such a feeling about such a topic just can’t be put into words. I find myself generally agreeing with that opinion. I, by all means, fall into almost every typical category you can think of when it comes to being an American. Yet I’d be lying to you and myself if I were to say there weren’t times where I didn’t feel all that patriotic, or part of, “the team”. So I do think that, if not a definition that is clear and works in every scenario, that there is at the very least a good messy definition of what it means to be an American, think less like law, and more rule of thumbs. I propose that being an American means you have to be on board and loyal to America. “To me, what it means to be an American goes beyond your place of birth or the documents you have… What it means to be an American is less about who you are than what you are about— how you live your life, how you contribute to this country, how you pledge allegiance to a flag hoping and praying it will make room for you. What it means to be an American is in the hearts of the people who, in their struggles and heartaches, in their joys and triumphs, fight for America and fight to be American every day.” (Huffington Post). Should illegal immigrants count? Even if they are just trying to find a better life? Maybe, maybe not. I’d say the argument can go both ways, on the one hand, they are coming here to better their life, and possibly America’s in the process. But on the other hand, they probably do know that, even if just a little, they’re probably harming America and draining the resources for the betterment of themselves. But regardless on how to feel on the subject of immigration, I think it’s safe to say that a lot of the questions of what it means to be an American, or at least each American’s values, can be found there. I’m not here to say whether immigration is good or bad or not. That’s up to you as a reader, however, I ask you, however, as a rational and thinking person, to ask yourself if the values you think America should strive for are matching up with how you think such topics in the world should be handled. So what are the American Values? It’s a question some of you skipped to the bottom of my essay to find out without reading any thing else. Nice. Well I believe the American Values are really only 1 value. Democracy. Sure, we’re not the only country with it, we’re not the first to do it. But I believe that, while certainly not the only value we as a country have, it is the bass of which all of our other values branch off of. And this idea of the people with the power is both the biggest strength and biggest weakness we will face as a country. That if the country flourishes, it will be because of the people. But if the country goes down the drain, it’s because we failed the country. As I believe Former President Bill Clinton was alluding to, “There is nothing wrong with America that cannot be cured by what is right with America.” (Daily Signal). We as a country’s biggest American belief, has to be the belief that the very people in this country, will work together to create a better country. And whether or not we can do that, is what will determine if we can make it as a country. Scism, Chelsea. “22 Inspiring Quotes About What It Means to Be an American.” The Daily Signal, The Daily Signal, 2 July 2015, dailysignal.com/2015/07/02/22-inspiring-quotes-about-what-it-means-to-be-an-american/. Accessed 18 Sept. 2017. Vargas, Jose Antonio. “What Does It Mean To Be An American?” The Huffington Post, TheHuffingtonPost.com, 4 July 2012, www.huffingtonpost.com/jose-antonio-vargas/jose-antonio-vargas-meaning-of-american_b_1647894.html. Accessed 18 Sept. 2017. “What does it mean to be an American?” What does it mean to be an American? | Scholastic.Com, www.scholastic.com/browse/article.jsp?id=5235. Accessed 18 Sept. 2017. American Creed? by Jacob is licensed under a Creative Commons Attribution-ShareAlike 4.0 International License. After reading your post, I agree with you on American Creed. You made a great point when you said “I, by all means, fall into almost every typical category you can think of what it means to be an American. Yet I’d be lying to you and myself if I were to say there weren’t times where I didn’t feel all that patriotic, or part of, “the team”. I would like to add on to that by saying that “Some argue that, as truth claims, all beliefs are of equal value (except, perhaps, the belief that all beliefs are not of equal value). By this reading, there are no overarching stories or visions of the good life through which our lives acquire meaning. Yet our nation enshrines a radically different truth–an American vision, if you will–from that espoused by fundamentalist-sponsored terrorism. From a religious perspective, this struggle, one that will continue into the indefinite future, is not between God and godlessness but between competing theological worldviews, with diametrically opposed conceptions of the role religion should play in society to advance the greater good.” This evidence supports the positive side of American Creed, by saying that all beliefs and religions are equal. The English author G.K Chesterton writes “America is the only nation in the world that is founded on a creed” This shows that we were founded on Creed, so therefore Creed should be a thing in our country. In 1918, William Tyler Page wrote “I believe in the United States of America as a government of the people, by the people, for the people; whose just powers are derived from the consent of the governed, a democracy in a republic, a sovereign Nation of many sovereign States; a perfect union, one and inseparable; established upon those principles of freedom, equality, justice, and humanity for which American patriots sacrificed their lives and fortunes.I therefore believe it is my duty to my country to love it, to support its Constitution, to obey its laws, to respect its flag, and to defend it against all enemies.” This piece of evidence showed that American Creed has been around for a long time. Even though some might argue that we are not all equal, but we all are the same, so that makes us equal. It is in the pledge of allegiance that we are all equal. “for All – These principles afforded to every loyal American regardless of race, religion, creed, or any other criteria.” So, in conclusion, I agree with you on American Creed, that we are all equal under the Pledge of Allegiance, and we should be treated like that. Church, Forrest. “The American Creed.” The Nation, Clinton County, 29 June 2015, http://www.thenation.com/article/american-creed/. Church, Forrest. “The American Creed.” The Nation, Forrest Church, 29 June 2015, http://www.thenation.com/article/american-creed/. County, linton. “The Pledge of Allegiance and The American Creed.” The American’s Creed, http://www.usflag.org/american.creed.html. After reading your post, my partner and I agree that there is not really a perfect solution to these problems. 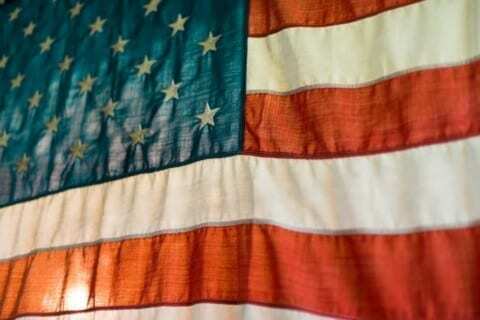 The American Creed is different for each person and all opinions can be argued for and against. You made a great point when you included the definition from Scholastic stating that “To be an American to me means that I’m free… it means most of all to be free and to be proud that I live in the United States of America…” It was important to note “To me, what it means to be American goes beyond your place of birth or the documents you have….” as stated from a Huffington Post, it also shows what an American is. This makes the argument even more difficult because what does that mean for people outside of the US or immigrants, legal or illegal. Should illegal immigrants be granted the same rights as legalized ones, or should they be deported when they are just trying to make a better life? We believe that there is no solution to this issue that would help everyone. Both sides of the argument can be argued for and against because being and American means something else to every person. Your statement that, “being an American means you have to be on board and loyal to America.” makes us think about what loyalty really means. It can be argued that illegal immigrants are not loyal to this country because they weren’t willing to go through the immigration process, but it can also be argued that they are loyal and are just trying to make a better life. When it comes to this topic there is no clear solution. Everything is not black and white or right and wrong. There is no perfect solution to the issues you discussed and we agree that being American is different for each person and it is a very important topic to try and find a solution to. After reading your post, we think that your claim is unclear in the paper. You made several different points throughout your paper, but none of them really related to each other. You mentioned immigration, but even then your paper didn’t have a valid argument that showed if you were for or against immigration. Throughout the article you gave no specific statement for or against immigration or about anything else. Even though you had a broad topic about being American, none of your points related to that. We also think that your argument against immigration is weak because there is no solid evidence behind it. But, we do agree that immigration should be allowed. It allows the immigrants to make a better life for themselves and their families. Immigrants do not drain our resources, rather end up getting a job and providing for themselves and their families. Studies show that immigrants can actually help the working environment and can help companies grow. Immigration can also help add to the overall population of the country as well. Studies show that immigrants can actually help the working environment grow and prosper. You could argue that immigration is hurting the country, but there is no solid evidence to back it up. Overall, your argument is unclear and weak but your paper is well written. After reading your post, I have come to the conclusion that if the values of an American are shown in immigrants, legal or illegal, that they are on their way to becoming an American and should be considered one of us. As you said in your post, “ We as a country’s biggest American belief, has to be the belief that the very people in this country, will work together to create a better country.” I believe that their only motive to come to America is to make a better life for themselves. And isn’t allowing them to have the option of coming here an example of us as a country coming together to make our country better? Most immigrants will be sure to be law abiding citizens, as to not arouse suspicion about themselves, but isn’t that just making our country have more citizens that do what they are told, not hurting our country. As it says in the Federation for American Immigration Reform, “If the population of illegal aliens and other long-term foreign residents were inconsequential, this would not be an important issue. However, with 18.5 million more persons counted in the 2000 Census than the number of U.S. citizens, this is a valid major concern.” One reason this evidence is weak is because there is no number that anyone knows how many immigrants are actually illegal. One immigrant from Germany had an interview with New York Times about the possibility that he could be kicked out of our country, and he said, “Obviously I am afraid. I have a son.” This statement shows how people from anywhere are at risk of losing everything. I know that my claim is on the less popular side of the argument, but if you really think hard about your morals and ethics, you could see that we are all human, and kicking out people just because of where they came from is wrong. We should not follow the same path as our elders and the men and women who came before us, as they had put us in many terrible situations they many people would like to deny ever happened. “Illegal Immigrants Distort Congressional Representation and Federal Programs.” Federation for American Immigration Reform, http://www.fairus.org/issue/societal-impact/illegal-immigrants-distort-congressional-representation-and-federal-programs. Jacob. “American Creed?” Youth Voices, 6 Oct. 2017, http://www.youthvoices.live/2017/10/04/american-creed-3/. Jordan, Miriam. “If Census Asks About Citizenship, Some Already Have an Answer: No Comment.” The New York Times, The New York Times, 27 Mar. 2018, http://www.nytimes.com/2018/03/27/us/census-undocumented-immigrants.html. This is a great article, well done! I think you are totally right that we need to look deeper into what we mean when we say we are American by looking at specific important issues. I liked how you brought up specific issues yourself such as immigration. I look forward to reading the other article you wrote to follow up with this one.